Planning a visit to Hawaii? The Big Island has much to offer those who are looking for a quiet escape to the ocean! With plenty of opportunities to explore the outdoors, from hiking to zip lining, to adventurous volcano tours and relaxing spa options, you are sure to find activities that suit your vacation needs. Don't wait, start planning your trip today, booking tours, adventures and tickets ahead help to guarantee your spot. 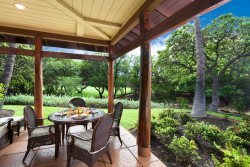 Contact our office for additional assistance planning the ultimate Hawaiian vacation! There is so much to do and see on this amazing island! From hiking through lush forests to breathtaking waterfalls to swimming with dolphins. Discover the most exciting excursions and adventures below and start planning your Hawaiin vacation today! Visit the many attractions on the Big Island. Explore the unique plantations of the world`s rarest coffees, tour a macadamia nut factory, stroll through the farmers markets lined with delicious local produce and discover our many local and unique gardens. Explore the unique sands and picturesque beaches of the Big Island. Unspoiled sand and surf, palm-fringed beaches, protected bays and beautiful landscapes. The Big Island has a beach to suit every one of its visitors and some of the best beaches in Hawaii! Discover our list of favorites beaches below. There are so many beaches to explore on the Big Island well beyond what is listed. Be careful exploring and most of all enjoy the sand between your toes! The Big Island offers great golfing adventures for every golf enthusiast along the shimmering Pacific Ocean. Explore our golf courses to find the perfect course for you. The Big Island and it`s people have a fascinating history. Explore the cultural history, travel back to cowboy days and learn about the island`s volcanoes at our unique museums.